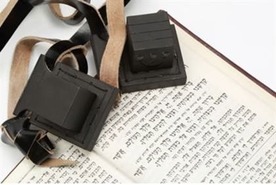 Only after the fall of the Iron Curtain were former Soviet Union countries able to access information about a ‘Jewish’ genocide during the ‘Great Patriotic War.’ Today, critics claim history is again being rewritten. 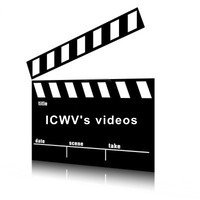 Widely denounced as tasteless, the so-called “Auschwitz on Ice” figure-skating dance performed in Moscow on Saturday is only the proverbial iceberg’s tip when it comes to Holocaust memory in Russia. 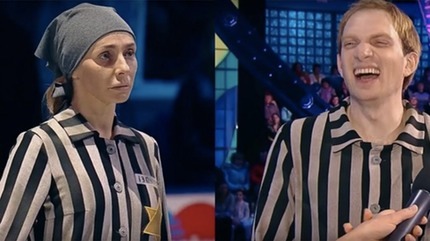 There is no accounting for taste, of course, and the controversial routine was, after all, created by a Jewish choreographer who used images and a song from the 1997 Holocaust film “Life is Beautiful.” However, for some critics of the Putin regime, Shoah-related ice dances — of which there have actually been several — only scratch the surface of a more sinister problem with historical memory in Russia. The majority of Russians view the word Holocaust, a Western term, in the context of a Russian Holocaust, or the murder of more than 20 million Soviet civilians during the Nazi occupation. 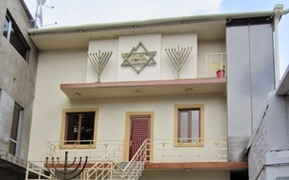 Among those slaughtered by the Nazis and their collaborators during the so-called “Great Patriotic War” were 1.3-million Jewish Holocaust victims. Until the 1990s, Europe’s devastation in the Shoah was hidden from the Russian public’s view — along with the role of Soviet citizens who collaborated with the Nazis to murder Jews. Additionally, the united struggle against Nazism did not include space for a Jewish-specific genocide, removed as it was from the Communist framework of class warfare and the needs of Cold War diplomacy. Yet another Labour Party politician's virulent anti-Semitism exposed; Ilyas Aziz also echoed calls to ethnically-cleanse Israeli Jews. 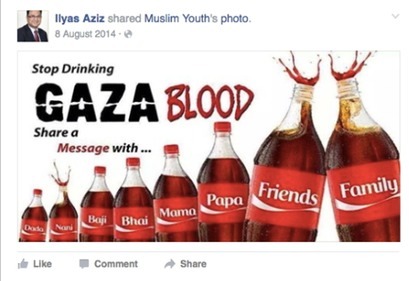 The above posts are just a few of the anti-Semitic statuses posted by Aziz during the summer of 2014 - when anti-Semitism peaked as anti-Israel groups rallied in support of Hamas during its war with Israel that year. 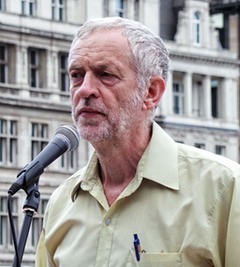 Labour has secretly suspended 50 of its members over anti-Semitic and racist comments as officials struggle to cope with the crisis engulfing the party. Senior sources reveal that Labour's compliance unit has been swamped by the influx of hard-left supporters following Jeremy Corbyn’s election. 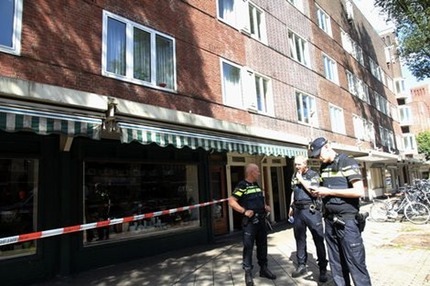 The suspensions that have been made public so far are said to be just the tip of the iceberg. 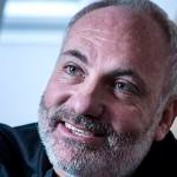 A spike in anti-Jewish sentiment in the Swedish city that plays host to much of the action in The Bridge contributed to Kim Bodnia’s decision to leave the show, the actor told an Israeli TV station. Fans of the Swedish-Danish co-production were devastated when it was announced that the Danish detective Martin Rohde would be written out of the show. Bodnia was a huge hit with viewers, but the Dane said he wanted out as he was unhappy with the script and his character’s development. Bodnia said he also thought the actors were given too little input into their character development in the third season. 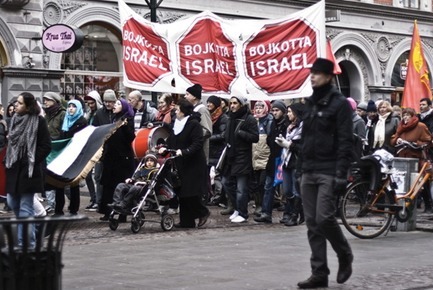 But if he had any hesitation about leaving, the decision was made easier by anti-Jewish developments in Sweden’s third-largest city. 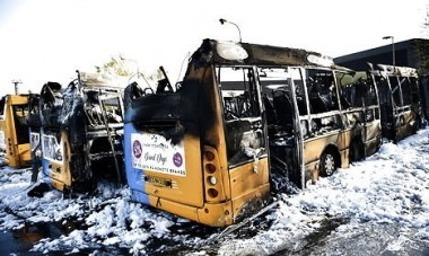 Four Copenhagen buses were found engulfed in flames Friday morning in a suspected arson attack that authorities say could be linked to anti-Israel motives, according to a Copenhagen Post report. Several other buses were found vandalized, covered in anti-Israel graffiti calling to "boycott Israel" and "Free Gaza." 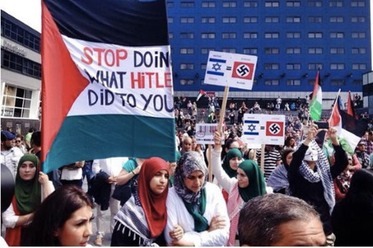 The attack comes a week after a pro-Palestinian group was ordered by Mavia, the country's bus operator, to take down advertisements calling for a boycott of Israeli goods. The discriminatory banner, which was spotted on Thursday, says, “The Jew dogs cannot come in here” and features an image of an Israeli tank. Results of global survey are "sobering but, sadly, not surprising,” director Abraham Foxman says. A lot of people around the world hate the Jews. 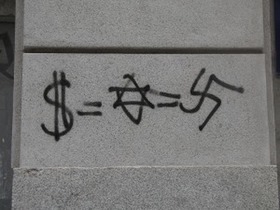 The survey, released Tuesday, found that 26 percent of those polled — representing approximately 1.1 billion adults worldwide — harbor deeply anti-Semitic views. More than 53,000 people were surveyed in 102 countries and territories covering approximately 86 percent of the world’s population. 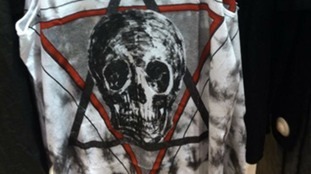 The H&M clothing chain announced that after a deluge of complaints, it was pulling from its stores a shirt depicting a skull in the center of a Star of David.